And those are just the numbers from the first leg of the singer’s four-leg tour. In case you missed it, Beyoncé's brand is as strong as ever. 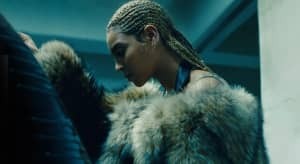 Not only does the singer have four Emmy nominations to her name for her visual album, Lemonade, but she's raking in serious cash on her 49-date Formation World Tour. On August 3, Beyoncé will complete the second leg of her tour, a five-week jaunt through Europe, before heading back to the States for the third part of the Formation tour. The last concert of the tour will take place in Nashville on October 2. All we can say is stay hydrated, girl!